I did not set out to write books. The books found me and insisted I write them. Who would you be if you knew you came from greatness? What if your first history lesson teaches you that you are descendants of kings and queens? Imagine how this knowledge would shape your world. The story of black people often starts with the false narrative of slavery. But before slavery, before America, there was Africa and our proud African heritage as Kings. 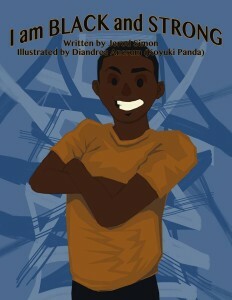 This book presents our young boys with their rightful history and an awareness of their innate strength. It aims to make sure our young kings understand their heritage and be empowered to shape their destiny. This book ensures our young kings understand their heritage at the early onset of knowledge. It highlights our royal African heritage and instills a sense of pride and strength in our young boys. It affirms that every single one of them is created by God to fulfill a specific purpose. This sense of pride and great expectation in our boys will develops the strong character needed to navigate a complex world. It is a starting foundation for all of them to embrace their heritage, fully know their power and become the future great leaders they are meant to be. This story is sure to be a daily affirmation guide for every little black and brown boy. The book is coming soon to a bookstore near you. I’m looking forward to your support and feedback. This story was born out of necessity. I love reading to my daughter and I’m constantly scouring bookstores to find great stories to read to her. I grew increasingly frustrated with the selection available. It seemed impossible to find books and stories that reflected my child and my values. I could not find books with people that looked like her, with skin, eyes and smiles like hers. Through my own journey, I have come to understand how important it is to find yourself in stories, so I decided to create stories and illustrations that resonated with my daughter. This first book in a series of children’s book I am writing is called, I’m Naturally Beautiful and was inspired by my two year old Nubian princess. 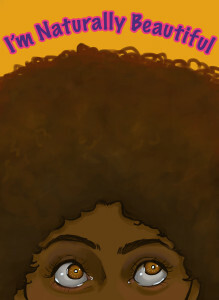 The premise of this book is to first unapologetically assert that black is beautiful. It is also to teach little girls of color to be comfortable in their own skin and not conform to the beauty standards set by the media. This book is also to inspire black and brown girls that the creator makes no mistakes and they can have big dreams and accomplish milestones beyond their highest imagination. I am sure that parents and educators alike, will find that this story deeply resonates and aligns with the spirit of every little African girl that receives it. The book is now available for purchase on Amazon.com and coming soon at a bookstore near you. I’m looking forward to your support and feedback.